Have you ever felt like you really don’t belong in the position you have, that you’re not as competent as people seem to think you are? Have you felt that you don’t actually deserve your job, or to be recognized for your accomplishments? Do you carry a fear that one day people will come to their senses and realize that you aren’t what you seem to be, that you’re not really good enough and that you’ll be exposed as a fake, an imposter? Those feelings can be very real, and surprisingly they are very common, especially amongst successful people. Those feelings, fed by our self-doubt and fears, and given voice by our inner critic, have a name – Impostor Syndrome. Researchers estimate that around 70% of people experience these feelings of being an impostor at some point in their lives (*1). 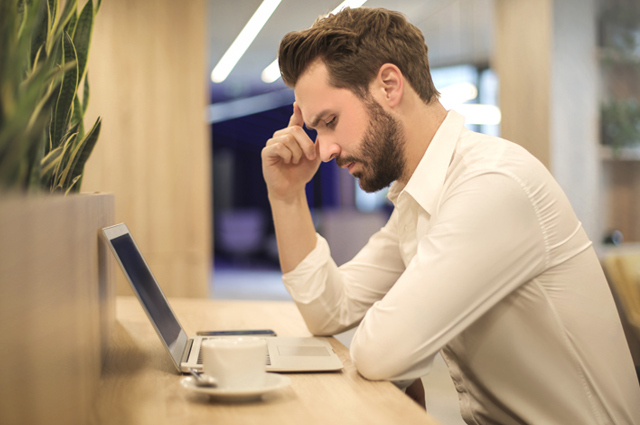 Impostor Syndrome affects all kinds of people from all strata’s of life – women, men, medical students, marketing managers, actors, executives and more, and is quite unrelated to competence or lack of it. Impostor Syndrome—it’s the idea that you’ve only succeeded due to luck, and not because of your actual talent or qualifications. No one is immune from self-doubt, or from the voice of our inner critic, but it seems to impact high-achievers or perfectionists the most. This battle with our inner critic is one that many successful people fight, yet it’s one that we don’t talk about often, and it is often felt by women in ministry leadership positions. I know that I’ve felt it on and off over the years and my most recent fight-round with it was when coming to grips with starting my latest assignment from the Lord. I felt under-qualified, like I didn’t know enough, and that people would look at me doing this and think things like, “What right does she have to do that?” “Who does she think she is?” “She doesn’t have what it takes to do this” etc. Imposter syndrome, and my self-doubt, didn’t seem to care that God had called me to do this, or that others thought that I should go for it; my mind wanted me to not step up and take the risk, in case I failed and proved that I really didn’t have what it takes. dismissing our success as luck. assuming that we’re not qualified enough. talking down about our-self, in our minds, and to others. using qualifying statements that undermine our portrayal of confidence. Self-doubt and fear of failure are universal human emotions, experienced by some of the world’s most successful people. Impostor syndrome taps into a very natural part of how we are created. It taps into the internal built-in mechanism created to help keep us safe and stop us doing stupid or dangerous things. We are wired to try to protect ourselves from anything that we see as risky or having inherent danger attached to it. This safety mechanism often goes to work before, or when, we step out in something new. When you step into something new you are very aware of how little you know and how much you need to learn. And with that comes the fear that people will find you out, that people will see that you’re an imposter. Recognize that this is a very real fear, but at the same time don’t let this fear paralyze you and make you quit before you have a chance to succeed. As you persevere you will get better at what you’re learning to do and you will become more confident in doing it. While your confidence in your skill may increase as you get used to doing something, if you don’t deal with the underlying self-doubt then those feelings of being an impostor will keep rearing their head. This will not only cause you angst and pain, it will work against you to prevent you from taking risks, trying new ideas and more. Unless you deal with it, then with every risk you take, and new idea you want to try, your self-doubt will challenge and try to constrain you. So, to counteract this, self-doubt, our inner critic, and impostor syndrome must be battled on both a natural and spiritual level. Below are some things I’ve learnt along the way from experiencing impostor syndrome myself, as well as tips I’ve gathered from other people over the years. They are not steps you have to follow, simply some good advice and some truths. Recognise it for what it is – it’s the voice of self-doubt and fear. When you recognize that voice at work, stop and acknowledge it for what it is. You can even say something like, ”I recognize you – you’re self-doubt”. Also ask the Lord to increase your discernment so that you recognize when it is more than just normal self-doubt, when it has that extra spiritual attack component in it. Then ask Him how you should handle it – with Scripture, praise, declarations, taking authority etc. Also remember that the end goal of discernment is not to just see what the enemy is doing so you can take authority over that. That is just half the job. The end goal is to go beyond that to see what God is doing, or wants to do, in the situation and partner with Him to see His will done in it. Identify underlying beliefs (potentially rooted in childhood) that may make you feel as though you don’t deserve your success. Look for exaggerated, irrational, or unrealistic thoughts that come up again and again, and practice identifying the common belief distortions that trip you up. Recognize repetitive thought patterns and actively work at changing your mind-set. Apparently researchers say we think about 60,000 to 70,000 thoughts every day, and estimates suggest that 98% of them are the same (*2). This means that your inner critic is really a habit – a thought pattern you can get control of; and habits can be broken and changed! Know this truth - The only difference between people who don’t feel like impostors and those that do, is this – they think different thoughts. That’s it ladies! The only way to stop feeling like an impostor, is to stop thinking like an impostor. Let God speak to you about how He sees you and what He’s put in you, and let Him build you up. Actively partner with what He says about you, speaking it over yourself, too. Don’t listen to the enemy when he comes to make you feel ‘less’, when he comes to tear down your confidence. Address the concerns that self-doubt brings up; don’t just bury them, or try and brush them off. Your inner critic is really trying to protect you, so do your best to practice self-compassion. If your inner critic is cautioning that you may not be ready to pursue a new career path, address its concerns constructively. Use it as an opportunity to honestly assess your skills and evaluate any gaps that you need to fill. Use it to grow. After you’ve evaluated gaps in your knowledge and skills, or wounds that need healing, and mind-sets that need to change, then you need to set about filling those gaps. Learn the new skills you need, read books, take a course, get counselling – do what’s needed to overcome the initial criticisms of self-doubt. Develop a new internal narrative. Your internal narrative is made up of automatic responses and consciously chosen responses. We all have that automatic mental tape that starts playing in situations to try trigger Impostor feelings. Reframe how you’re seeing things and the thoughts that you think. So, instead of thinking things like, “Wait until they find out I really have no idea what I’m doing,” try thinking, “Everyone who starts something new feels unsure of themselves in the beginning. I may not know all the answers, but I’m smart enough to find them out.” Use Scripture as part of that narrative -find out who God says you are, use the promises that He’s given you, and build a new picture of yourself and develop some new self-talk. When you think thoughts like, “I don’t deserve to be here” recognize that you got this job or assignment because someone thought that you could do it; they saw something in you and were willing to invest in that. Don’t let fear get in the way of your purpose. Our inner critic will always speak up anytime that we try to do big things, no matter how positive we try to be. Hearing the voice of your inner critic can mean that you’re about to do something brave and important to you. No one gets the luxury of living completely without fear rearing its head, not even confident people. So it’s time to start viewing your emotions, the good and the “bad”, for what they are – a valuable tool to teach you and help you grow. Watch your Language. Women, more often than men, use qualifiers in their speech. This kind of tentative language can read as insecure and even make you unsure about your own abilities in the long run. Drop the use of words like just, maybe, possibly, I think, I wonder if and somewhat. These words subconsciously undermine the confidence that you may be trying to project. How can you expect others to trust your ideas and your work if you are questioning yourself without even realizing it? Separate feelings from fact. There are times when you’ll feel stupid. It happens to everyone from time to time. Realize that just because you may feel stupid, doesn’t mean that you are. Just because you may feel ‘less than’ doesn’t mean that you are. Don’t compare yourself to others. You are you. You cannot compare yourself to them. Comparing yourself to others is to walk into a trap with very sharp teeth. If you go down that road there are only two possibilities – either you’ll see yourself as less than or better than. Either outcome is a trap that will lead to you being caught in either condemnation or pride! Develop a new response to failure and mistake making. Henry Ford once said, “Failure is only the opportunity to begin again more intelligently.” Instead of beating yourself up for being human, do what professional athletes do and be deliberate about gleaning the learning value from the mistake and move on. Change your inner picture of yourself and act in line with that . In other words “Fake it ‘til you make it” or “practice it ‘til you become it”. There are times when we all have to ‘fly by the seat of our pants’ but instead of considering that as proof of your inadequacies, learn to do what many high achievers do, and view it as a skill. The point of the phrase, fake it ‘til you make it, still stands: Don’t wait until you feel confident to start putting yourself out there. Courage comes from taking risks and trying stuff, and succeeding at it. Whether that success comes straight away, or slowly after several stuff ups, isn’t the important thing. You stepped out, tried and succeeded! Celebrate that and let confidence build as you get better and better at that thing. Show who you are – be authentic. The only way to destroy Imposter Syndrome forever is by being authentically you with everyone, all the time. This means bringing your thoughts, words, and actions into alignment as much as possible. There’s real freedom in this, but it is hard. It takes a lot of practice and it will feel funny, and possibly even painful, at first. Practice being authentic with others until it doesn’t hurt to do so anymore. At first, you may say or write about how you really feel and other people may not care, or they’ll laugh at you or say stupid stuff to you. But that’s all they can do. And if you don’t let it get to you, or hurt you, then after a while you’ll be able to just brush off their comments. Then you’ll become immune to them. Then you’ll be the powerful one. Because now you can be yourself and you’ll be able to take the hits. Learn to laugh at yourself Laughing at yourself is a great way to fight Impostor Syndrome. Stop protecting that ‘self-imposed’ or ‘other-imposed’ perfect image of yourself. Break free from perfectionism. Instead, learn to find the adventure and fun in situations and to laugh at yourself. People will like you more and, ironically, you’ll be taken more seriously. Work out what the worst-case scenario would be, and how you would deal with it. Having a plan for this actually helps. Ask yourself what would happen if you gave up, or didn’t do, this job, this thing you feel called to. If the loss of it would be more painful than the effort of working through the imposter syndrome, then you know what to do. If you really can’t cope with what you are doing, ask yourself why. Is it that you need some support, more time, or some training? Can you postpone for a while, and get some help rather than throwing it all away? Only after doing that analysis and asking those questions can you make an informed decision. Impostor syndrome doesn’t mean a life sentence of second guessing yourself. It can be beaten, and each time you do so you get stronger and the next bout gets easier to win. You are called by God to do what you’re doing, otherwise – seriously – who’d do what we do? And if you are called by God to do this, then He either has already given you the skills you need to do it, or He fully intends to teach you them. Either way you will not be an imposter! You may feel like one at times, but they are just feelings and feelings can, and do, change. (*1)According to a review article published in the International Journal of Behavioral Science.